President Ram Nath Kovind has given assent (under Article 111) to Fugitive Economic Offenders Bill, 2018 passed by Parliament. With this assent, this Bill becomes law that will deter fugitive economic offenders to evade legal process in India and flee the country. The law aims to serve as an effective, expeditious and constitutional way to stop these offenders from running away. The new law defines fugitive economic offender (FEO) as any individual against whom warrants for arrest is issued for his involvement in select economic offences involving amount of at least Rs 100 crore or more and has left India so as to avoid criminal prosecution. It allows a designated special court to declare a person as a fugitive economic offender and to confiscate his property, including benami ones. It vests all rights and title in confiscated property from date of the confiscation order in central government and it will be free from all encumbrances. Enforcement Directorate (under Ministry of Finance) will be the investigative agency under the Act. President also gave assent to Negotiable Instruments (Amendment) Act, 2018. It is aimed at allowing a court to try offences related to cheque bounce expeditiously and direct the drawee to pay a minimum of 20% of cheque amount as interim compensation. 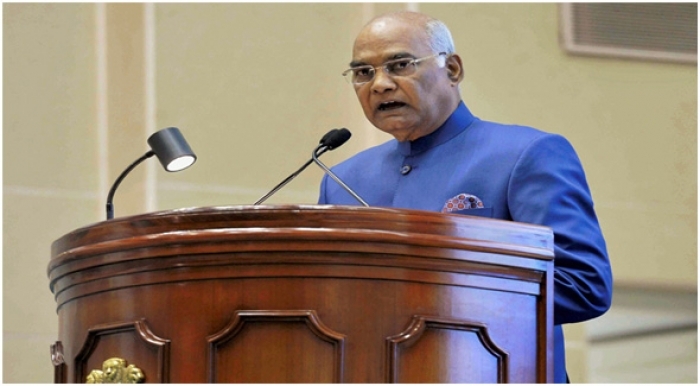 President also gave assent to State Banks (Repeal and Amendment) Act to repeal two other laws: State Bank of India (Subsidiary Banks) Act, 1959 and State Bank of Hyderabad Act, 1956. It further amend the State Bank of India Act of 1955. Q1. 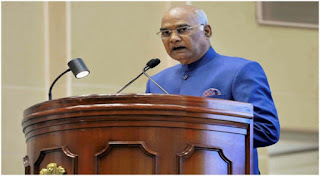 President Ram Nath Kovind has given assent (under Article 111) to which Bill passed by Parliament? Q2. Who will be the investigative agency under the Act?